Annually, more than 87,000 square kilometres of the world’s forests disappeared from 2014 to 2016. This is a 20 percent faster devastation than in the previous ten years. According to satellite imagery, the several decade-long efforts are not effective to curb deforestation. Almost 10 percent of the world’s intact ancient forests have been fragmented, devastated, or have been cut down since 2000. “The destruction of primeval forests is a global tragedy, and we systematically destroy one of the pillars of climate stability. Forests are the only safe, natural and affordable infrastructure to store coal available for us,” stated Frances Seymour, a member of the World Resources Institute environmental organization. In addition to maintaining stable climate, forests also play a role in preserving biodiversity, weather, clean air and water quality. The livelihoods of 500 million people worldwide depend directly on the forests. Intact, so-called primary forest areas, which include wetlands and grasslands too, are areas with a minimum of 500 square kilometres, where there is no trace of greater human intervention on the basis of satellite imagery: there are no roads, industrial farming, mining, railways, canals or pipelines. 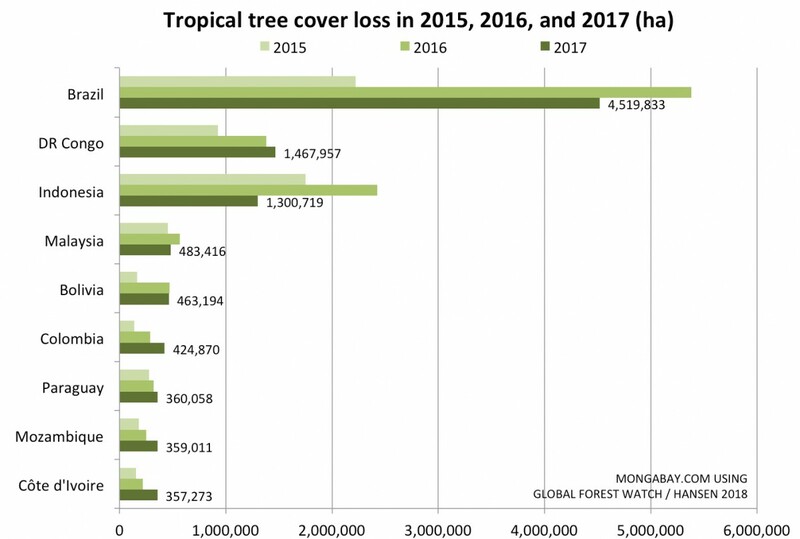 In January last year, roughly 11.6 million square kilometres of forest areas met these criteria worldwide – after the size of these areas fell by more than 87 thousand square kilometres each year between 2014 and 2016. Peter Potapov, an associate of the University of Maryland, one of the researchers in the study said that LOT OF COUNTRIES MAY LOSE ALL THEIR OWN AREAS OF FORESTS IN THE FOLLOWING 15-20 YEARS. Today’s indicators show that primeval forests will disappear in Paraguay, Laos and Equatorial Guinea by 2030, and then in Central African Republic, Nicaragua, Myanmar, Cambodia and Angola by 2040. In tropical countries, the primary cause of the disappearance of primeval forests is agriculture and logging. In Canada and the United States, forest fires, in Russia and Australia, mining, energy production and fires cause forest decline. According to experts, national and regional parks help to slow down the rate of forest degradation. According to the indicators, there is a threefold increase in forest degradation in areas outside protected areas. The United Nations Development Program (UNDP), together with five leading nature conservation organizations, has announced a five-year plan for Nature4Climate, which considers, among other things, effective land use as one of the best ways of tackling global warming.